Cast: Li Kang Yi, Cynthia Wang, Jozie Lu, Suki Low, Xiu Jie Kai, Nicholas Teo, Nylon Chen and Andrew Tan. “For love, the princess and the cello player stayed in a simple house. Very soon she gave birth to three little princesses, happily wanting them to inherit the secret of beauty. On the day of her 28th birthday, she gave every princess a beautiful secret. The oldest princess, Ruo Tian, got a scarf. The second princess, Ruo Wei, got a mirror. And also, for the one inside her, whether it was a princess or prince, she prepared a secret gift. As for the third princess Ruo Yi, which is me, a suitcase - something that no matter how you look at it, doesn’t seem like a gift for a princess. More like a gift for a maid. It was thick and burdensome, and couldn’t be moved. Dad once said that mom left a letter. The letter would explain the meanings of the gifts. He said he would wait until we find our happiness before he read it to us. We haven’t found our happiness, so we don’t seem to have the right to read Moms letter” (introduction). Zhang Ruo Tian (Li Kang Yi), Zhang Ruo Wei (Cynthia Wang), Zhang Ruo Yu (Jozie Lu) and Zhang Ruo Yu (Suki Low) are four very different sisters. Ruo Tian, the oldest, is a fussy prosecutor, known to do thing in her own style. Ruo Wei, the second oldest, is known as the beauty of the fashion queen, always succeeding due to her smarts and looks. Ruo Yi, third oldest, is the most filial daughter of the bunch, spending most time taking care of their father, even though she runs her own business. The youngest, Ruo Yu, is a student, not listening to anyone, and decides everything on her own. Living apart and going after different things in life, the four are brought together again after their father goes missing. They soon find him, and are told that he has late stage Alzheimer’s, which leads them to move back in their old home to take care of their father. This is one of those that I was supposed to watch years ago, but kept putting it off due to several reasons. I have always loved Taiwanese love dramas, and this one reminds me a bit of the past dramas that introduced med to drama world. Unfortunately, it is one of those I call “half-half”, meaning it has a lot of ‘older’ drama feel to it, and yet they are trying real hard to make it ‘newer’ or more ‘modern’ - which by the way makes it slow in pace. I don’t hate it, but I rather see a drama with either an old feel, or a new feel - not a mix/blend. 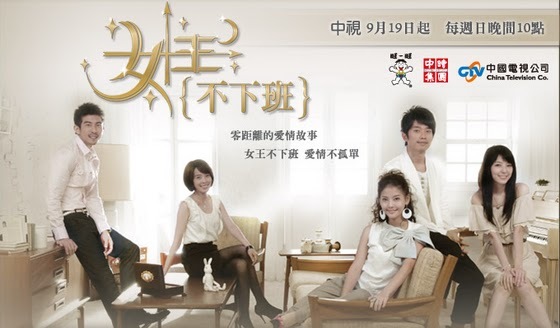 The cast was quite average, and idol-drama-like, except for Xiu Jie Kai. He is kind of growing on me - haha. Anyways, not a drama I would recommend, but not an overall bad drama.